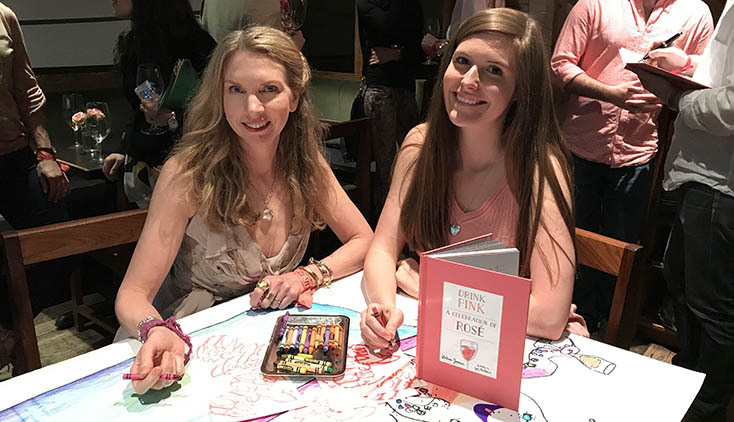 Jewelry designer Laura Lobdell with sommelier and 'Drink Pink' author, Victoria James, seated at the drawing table. 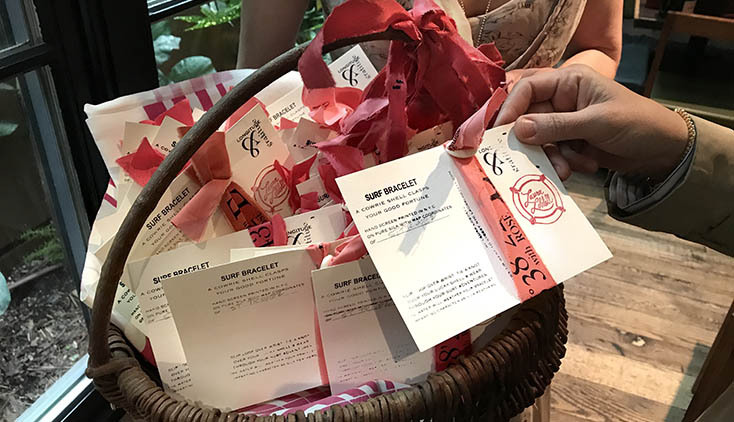 Each guest chose one of Laura Lobdell's Surf Bracelets as a party favor. The ribbons are hand screen printed in New York City with various map coordinates. They are intended to be worn in the ocean where they will fade and grow in character with exposure to the salt water. 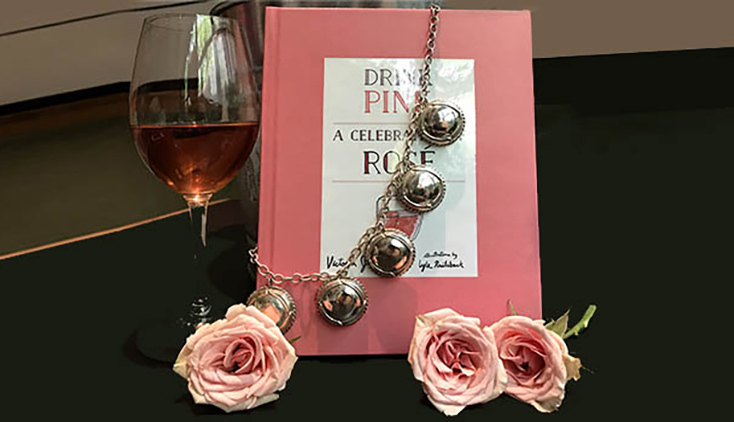 A copy of 'Drink Pink' at the drawing table on a guest wearing one of Laura Lobdell's Surf Bracelets with a cowrie shell clasp. An open copy of 'Drink Pink' at the drawing table on a guest wearing one of Laura Lobdell's Surf Bracelets with a cowrie shell clasp. 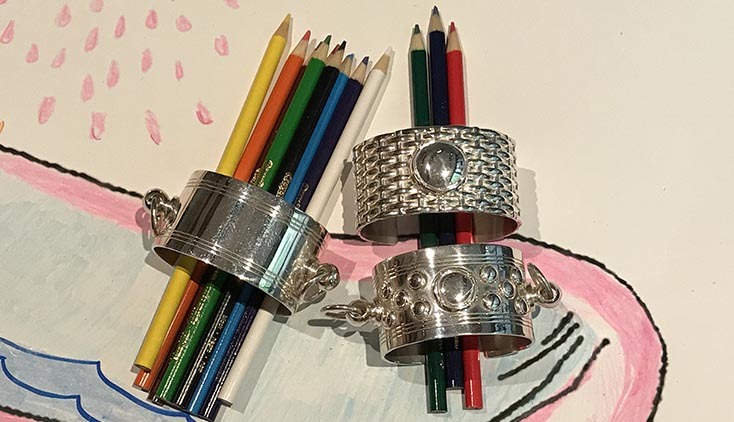 Silver cuffs inspired by champagne buckets and picnic baskets by Laura Lobdell on the drawing table at the 'Drink Pink' party. 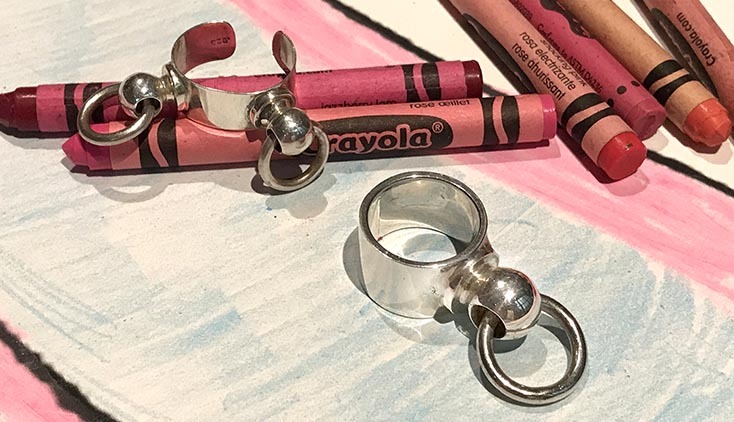 Laura Lobdell silver Buckets Rings at the drawing table of the 'Drink Pink' party. 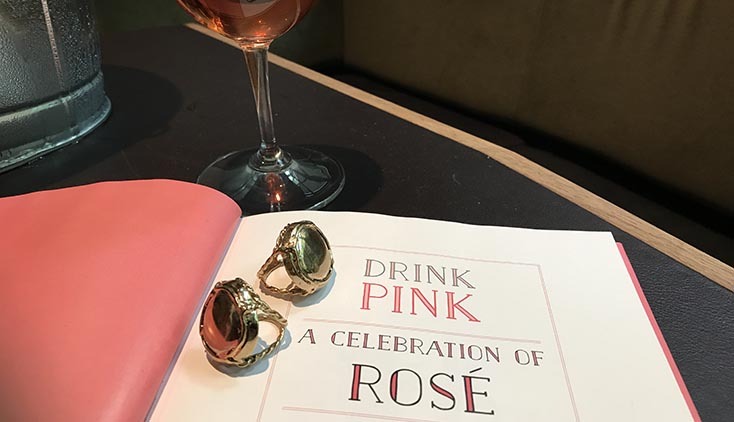 The 'Drink Pink' book party with Laura Lobdell jewelry took place at the Piora restaurant in New York City's west village neighborhood. 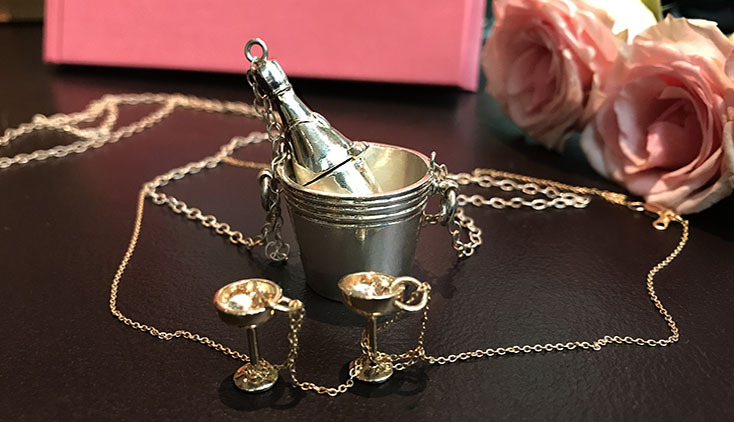 There are few jewelry collections as overtly celebratory as Laura Lobdell’s playful pieces. 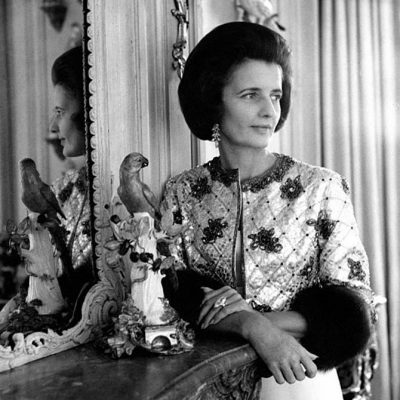 Her signature motifs include pendants in the shape of champagne bottles and coupe glasses. 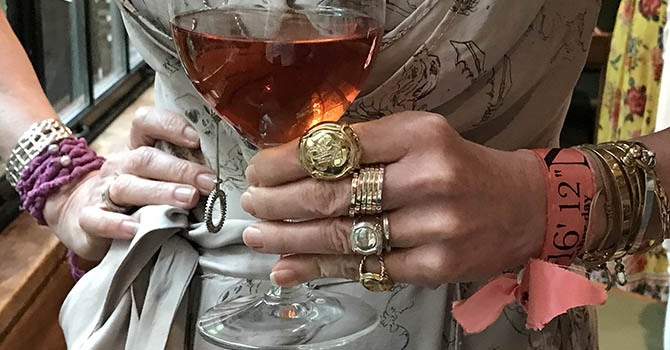 She has a whole series of rings inspired by the handles on a champagne bucket and the wire cage that fits on top of a champagne cork—officially called a muselet. The joyful jewelry, that’s handmade in New York City, comes in a range of sizes, silver and gold. 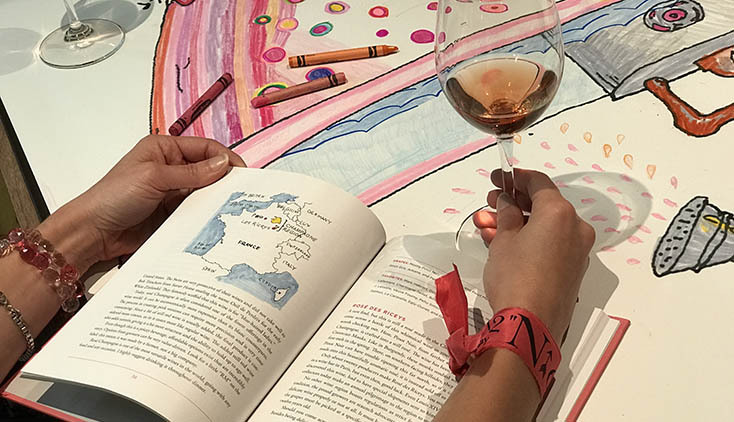 It’s delightful to wear any day, but a book party about wine is the perfect pairing. 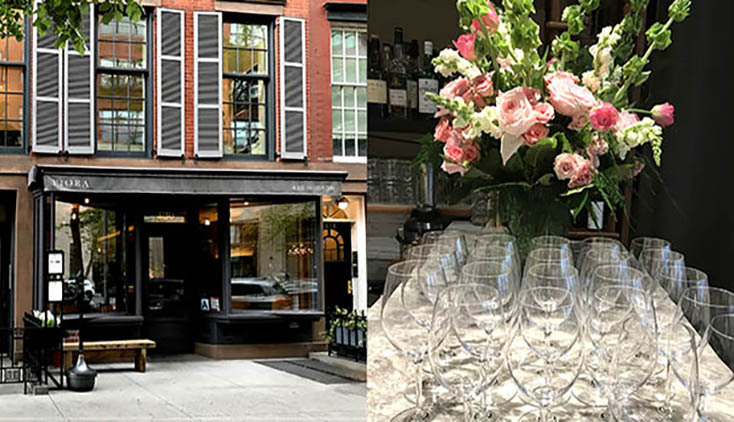 For sommelier Victoria James’ publication Drink Pink: A Celebration of Rosé, Laura brought selections from her collection to the festivities at Piora in the West Village of New York City. 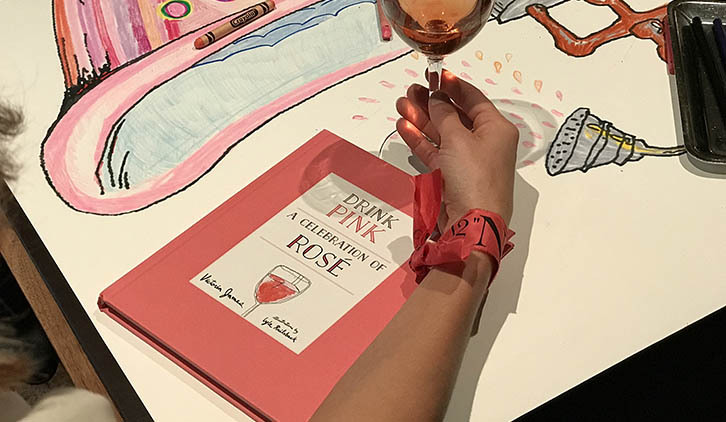 The rosé flowed at the charming event where there was also a table with pencils and crayons to sketch, a set up that echoed the delightful illustrations in the book by Lyle Railsback. See pictures of the party and close-ups of the jewelry in the slide show above. 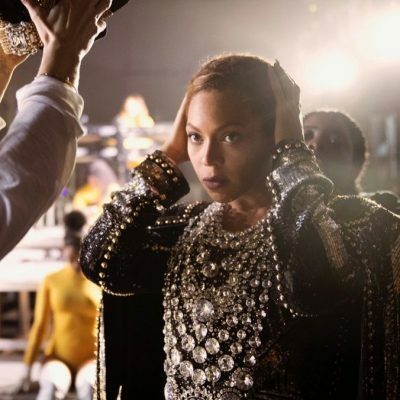 The Jewelry Editors to Follow on Instagram Now!